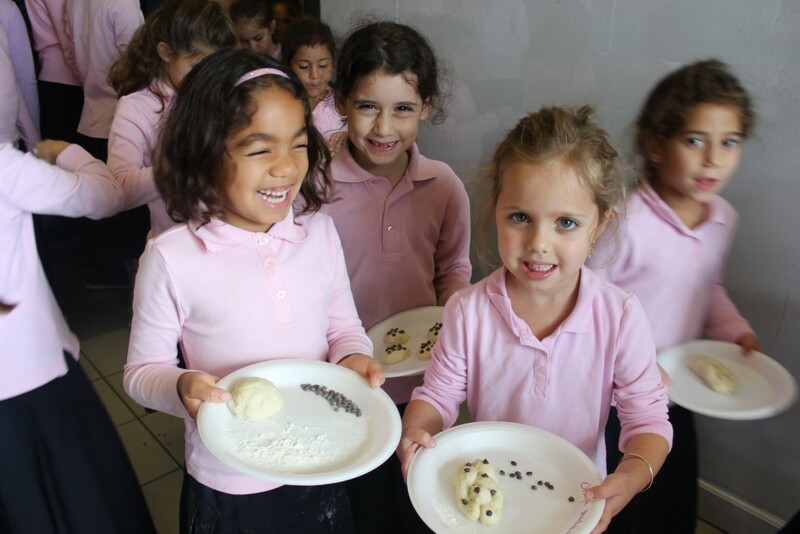 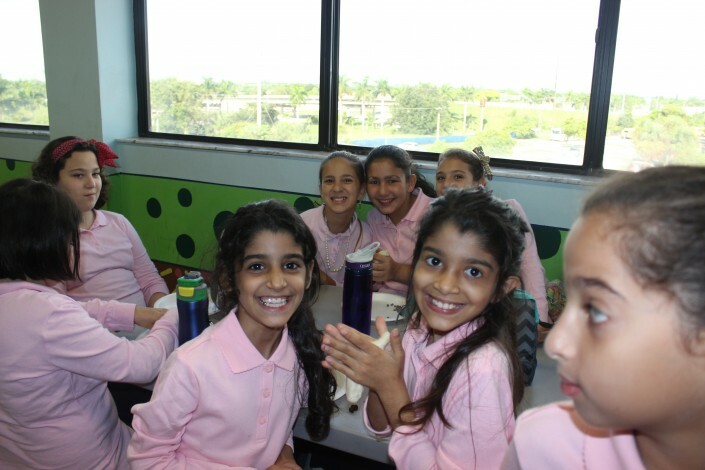 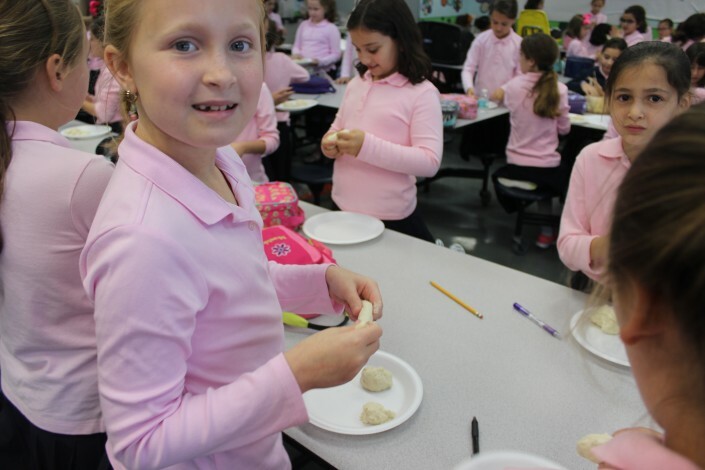 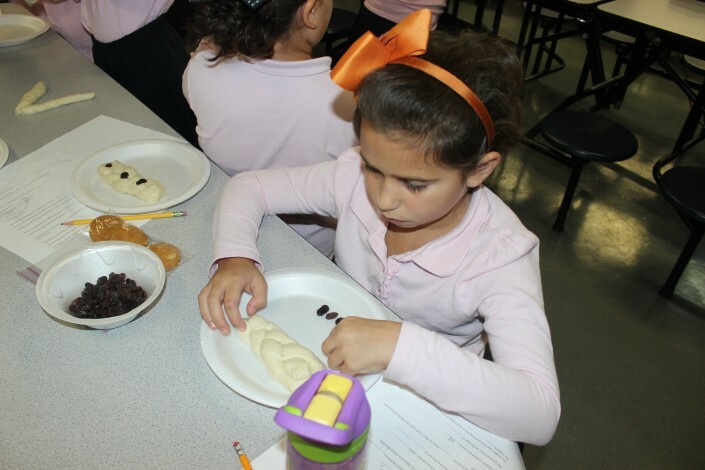 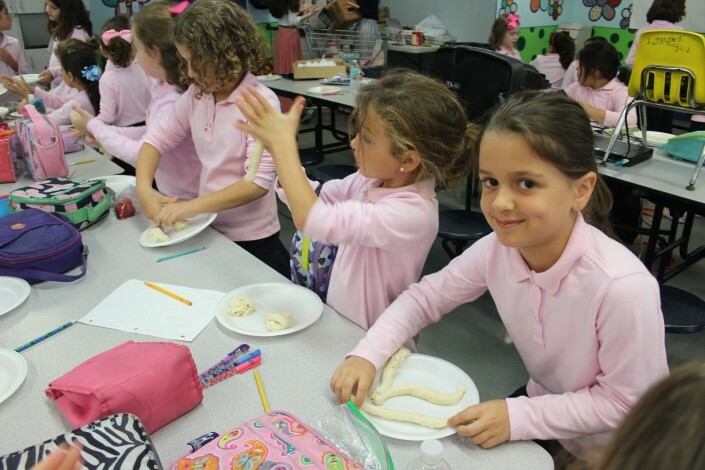 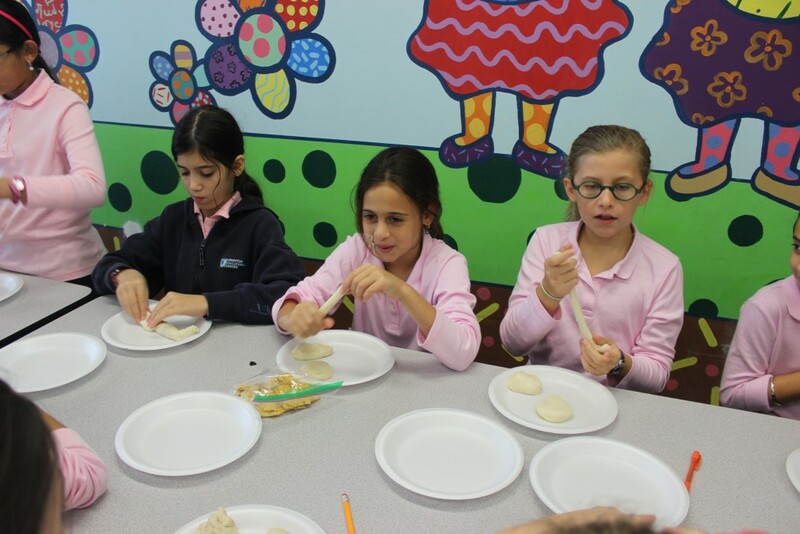 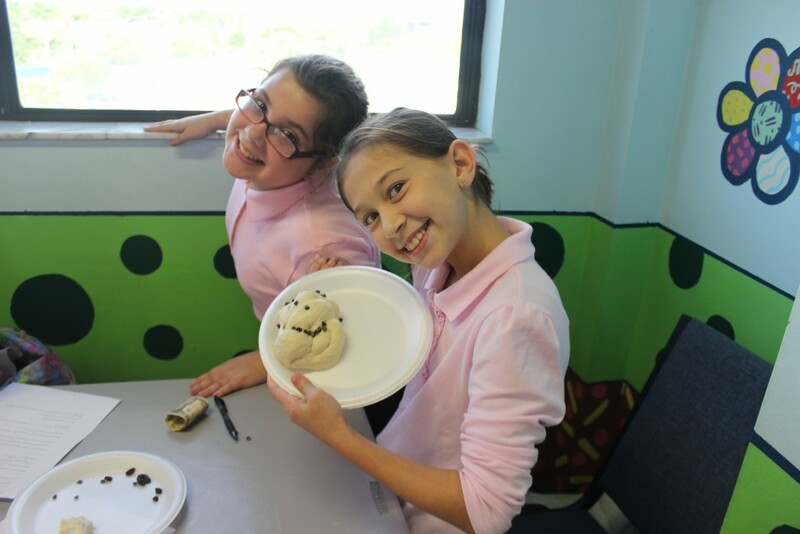 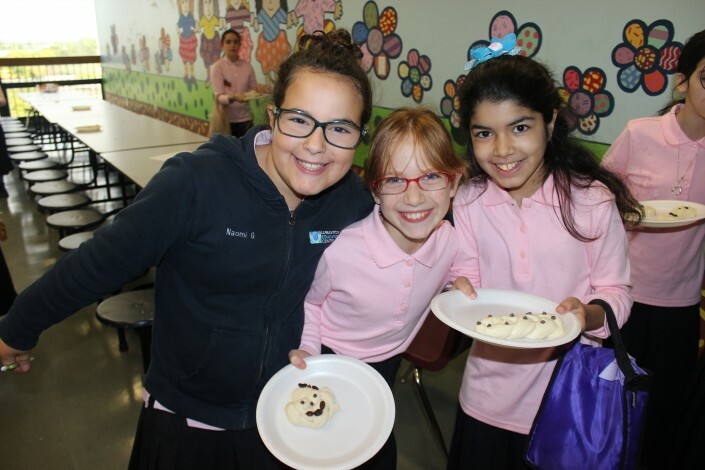 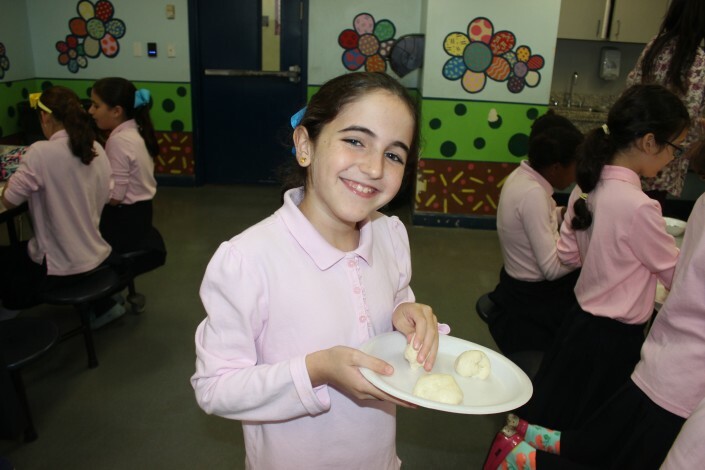 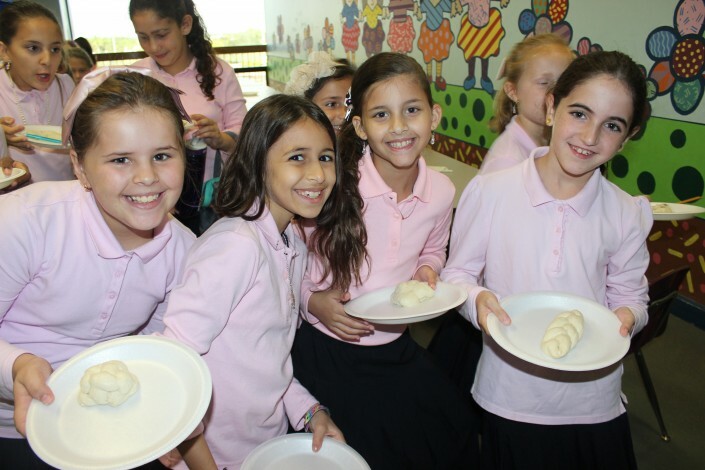 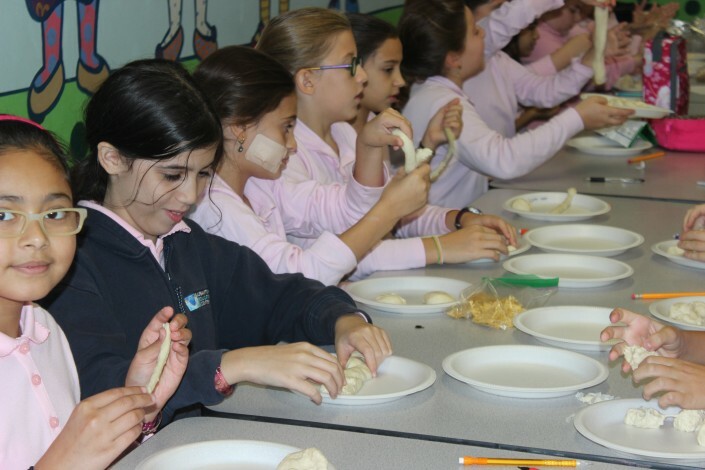 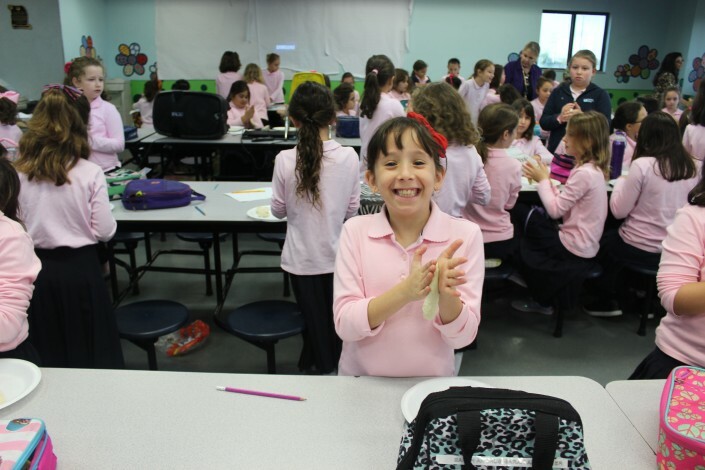 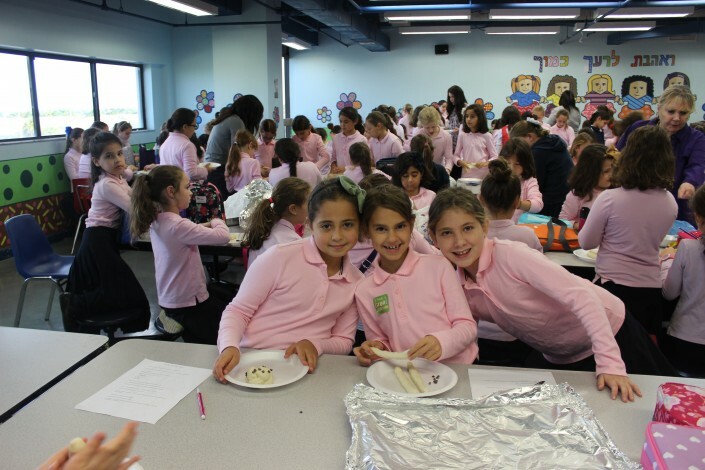 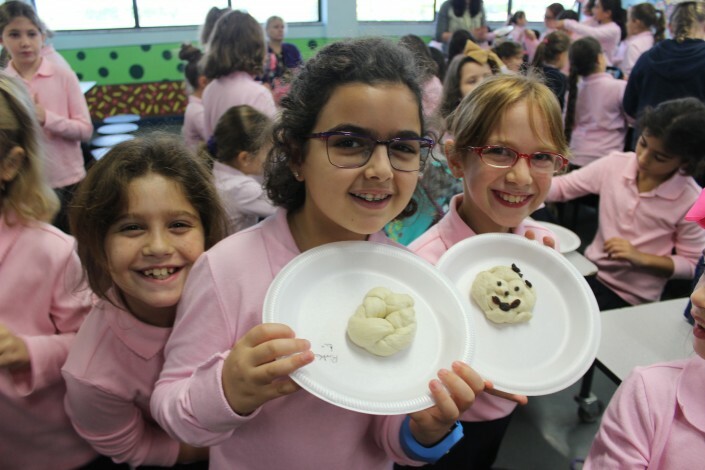 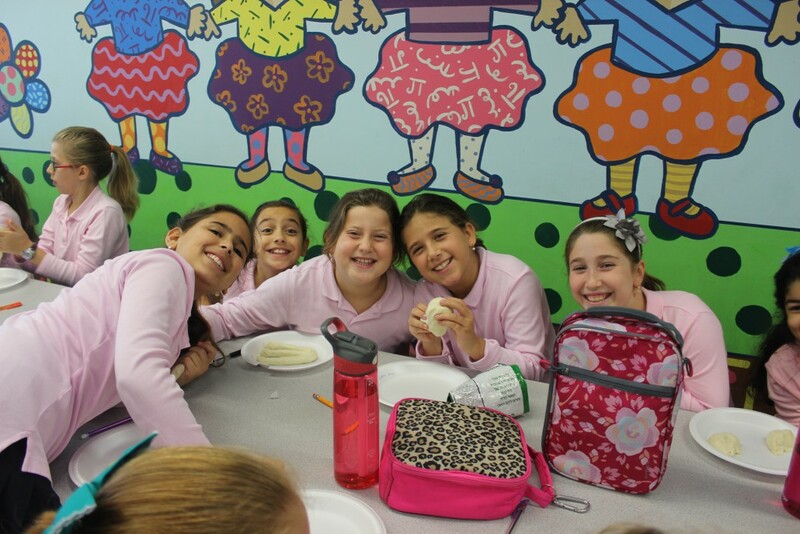 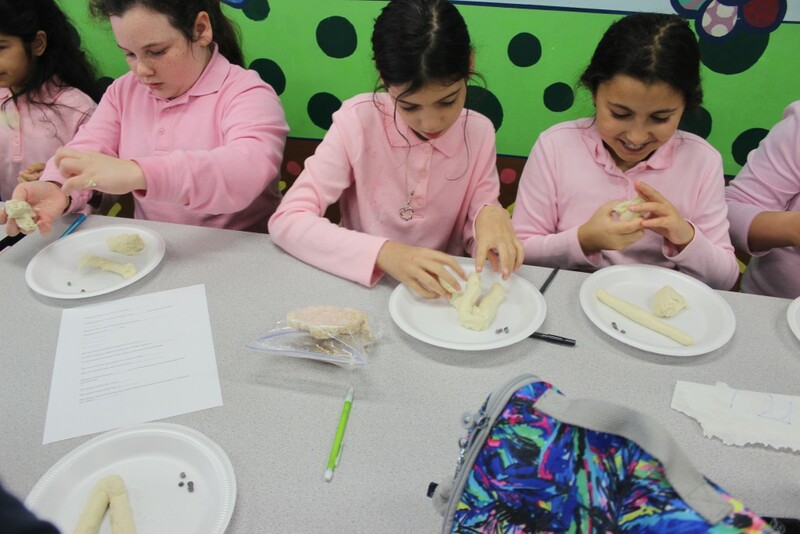 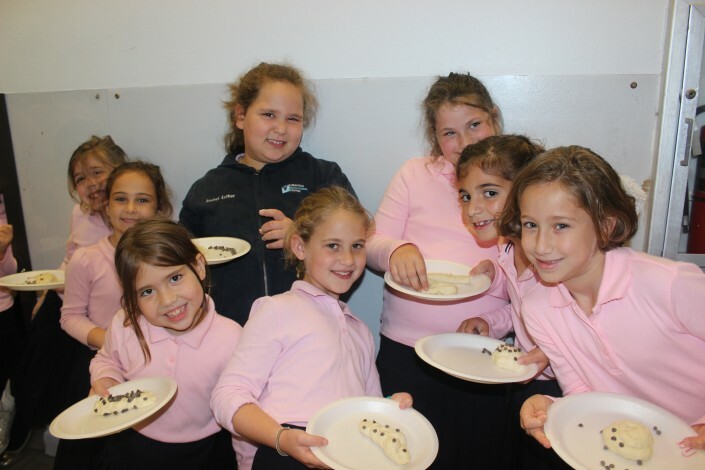 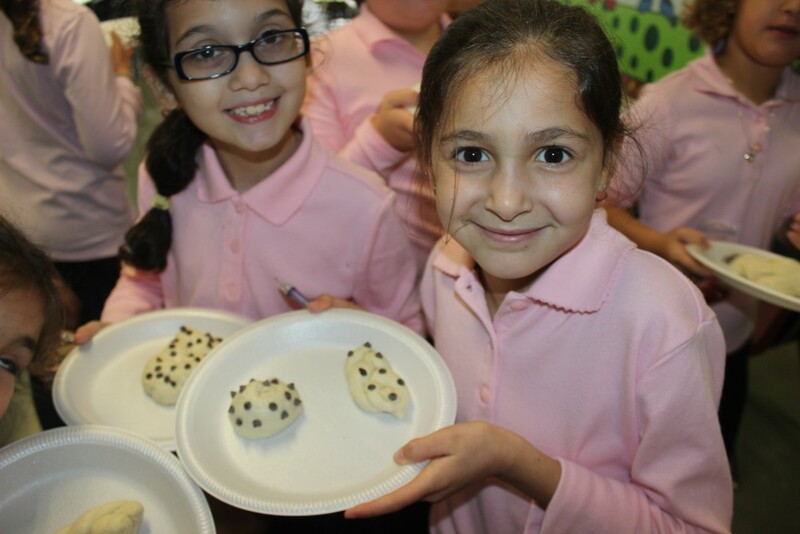 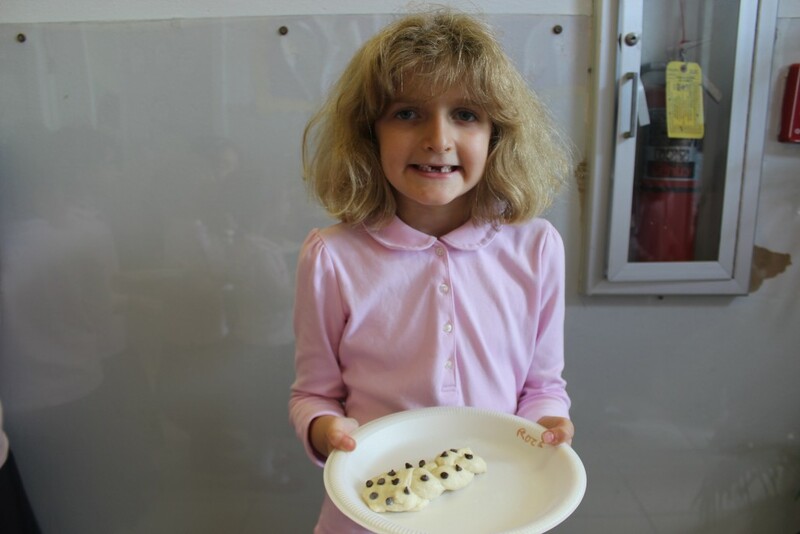 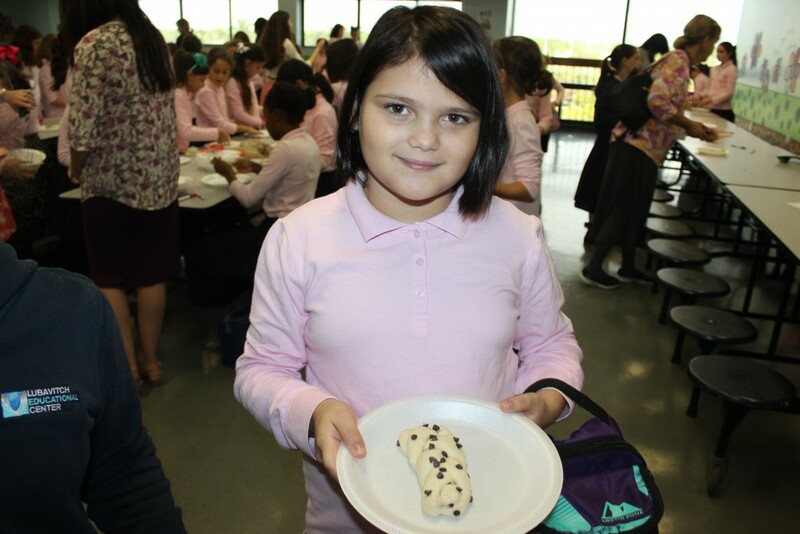 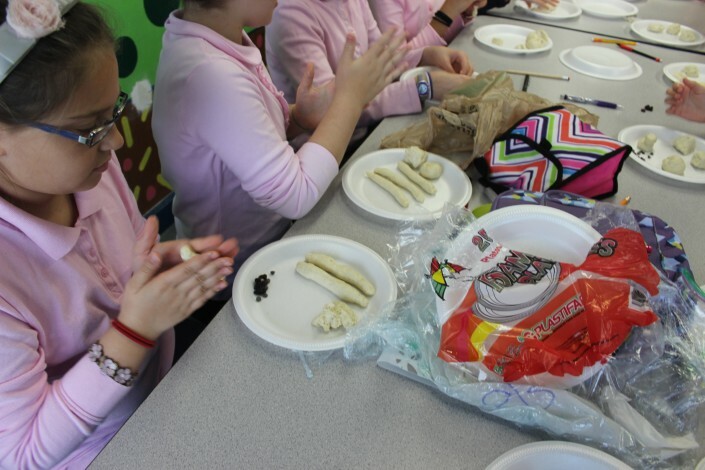 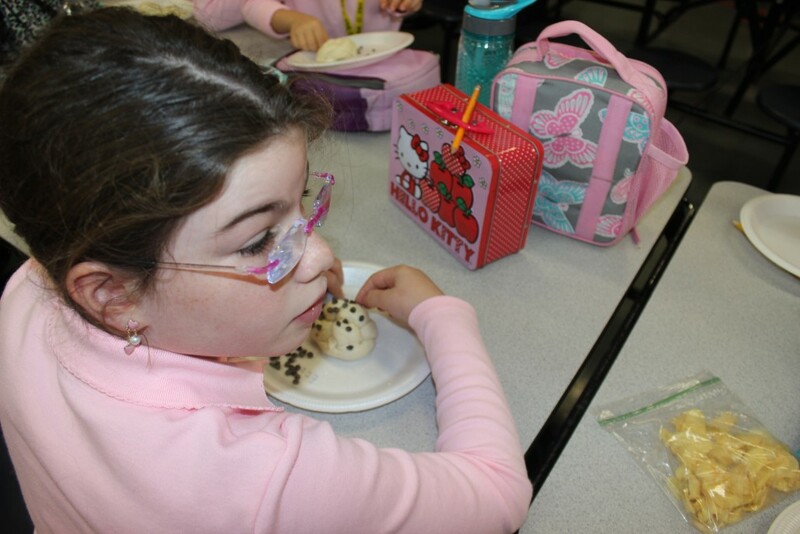 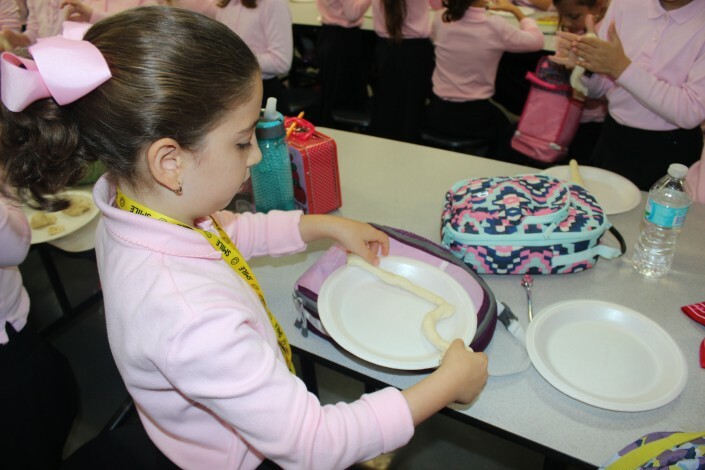 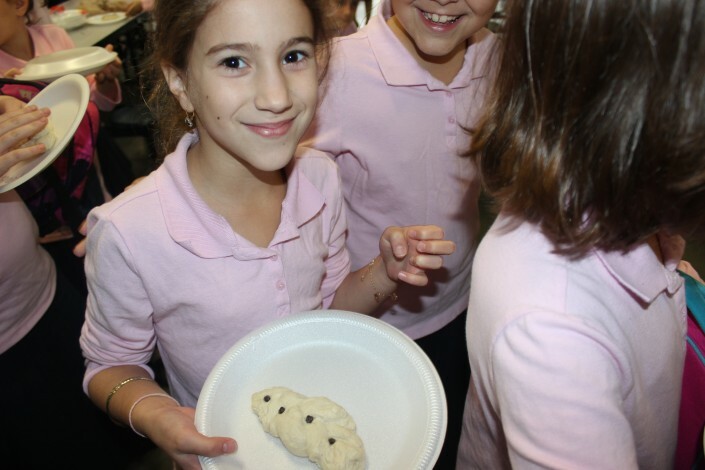 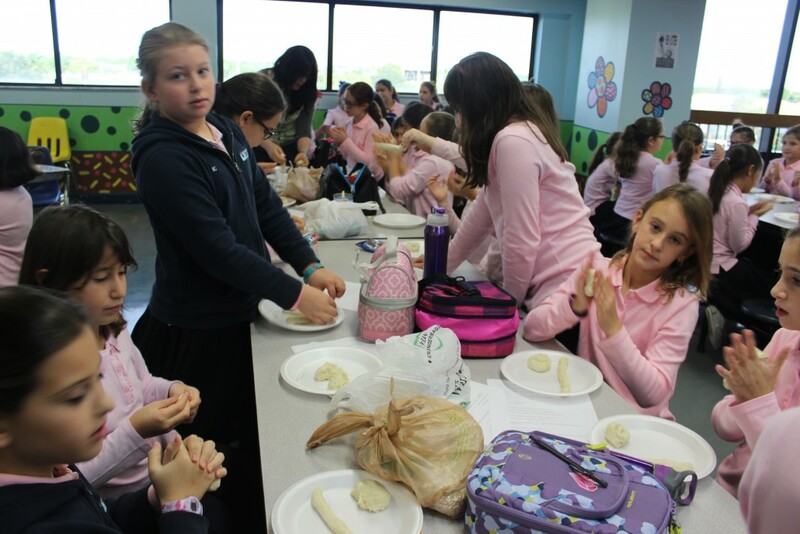 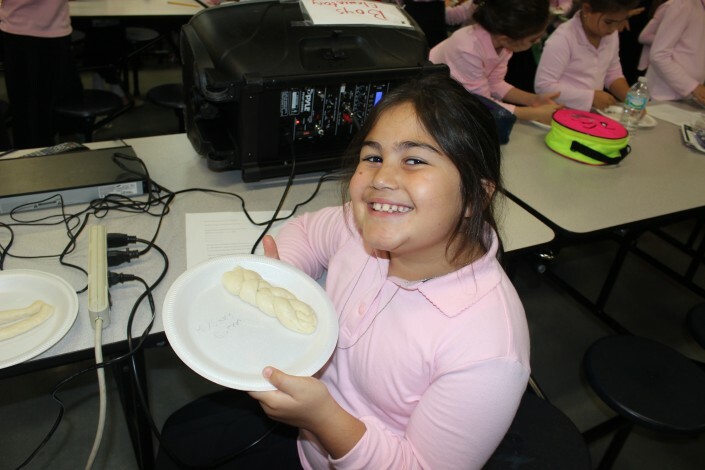 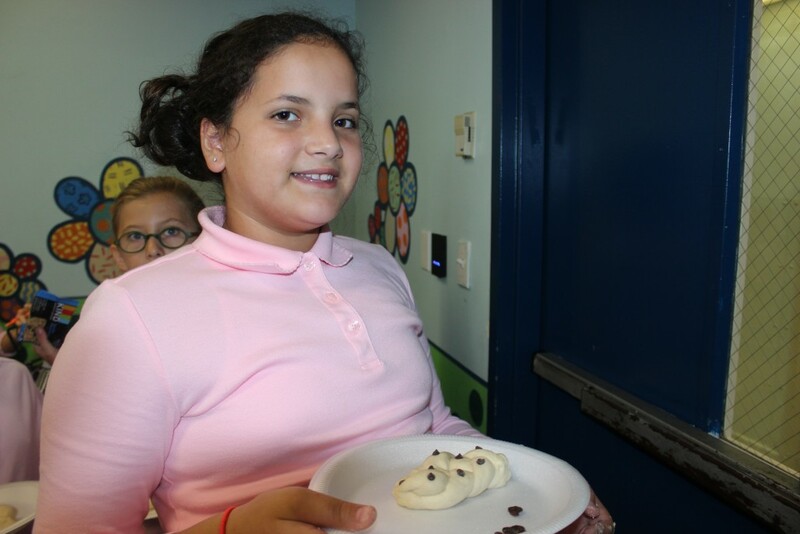 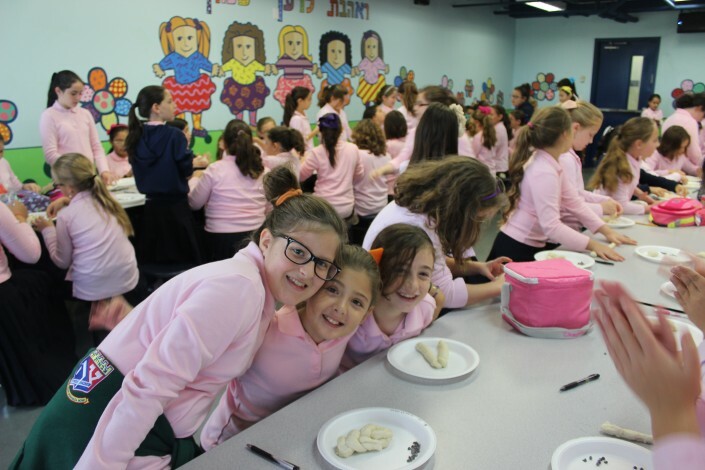 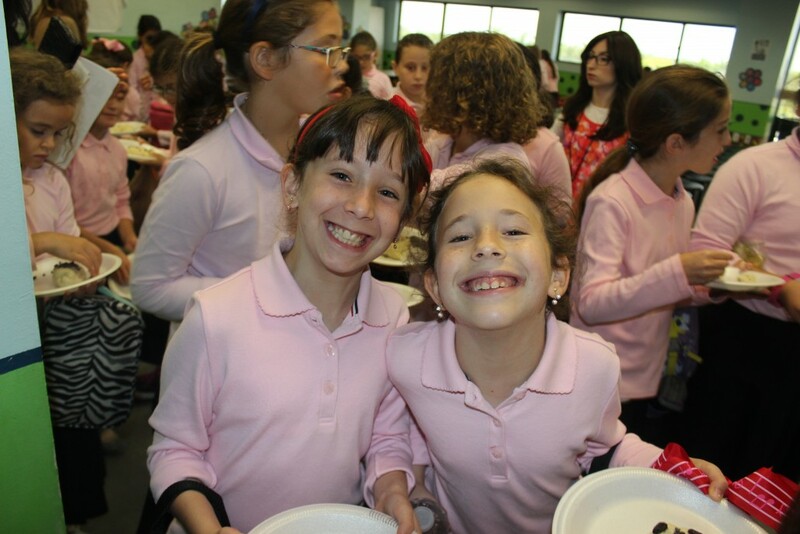 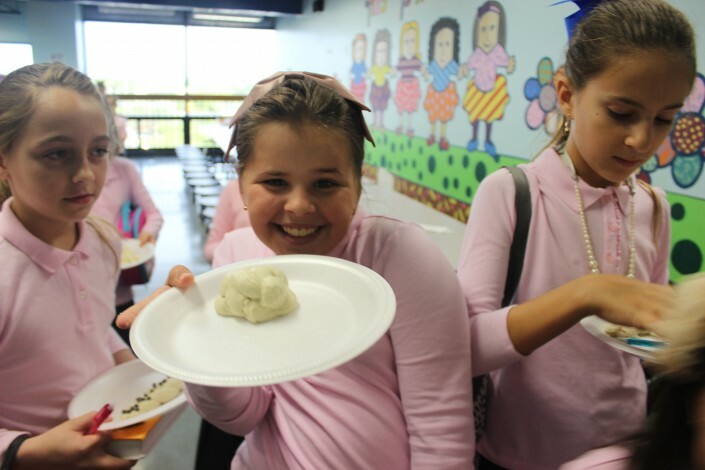 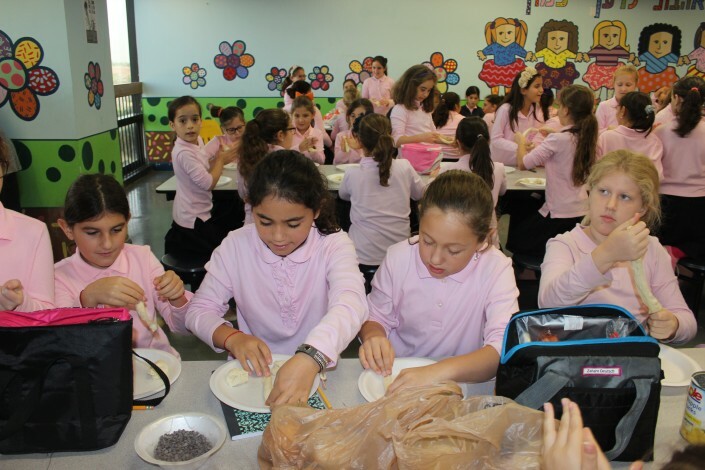 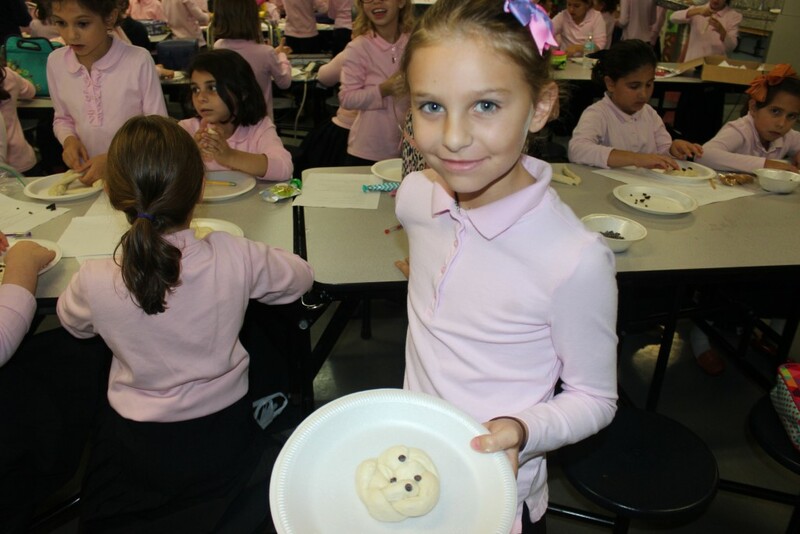 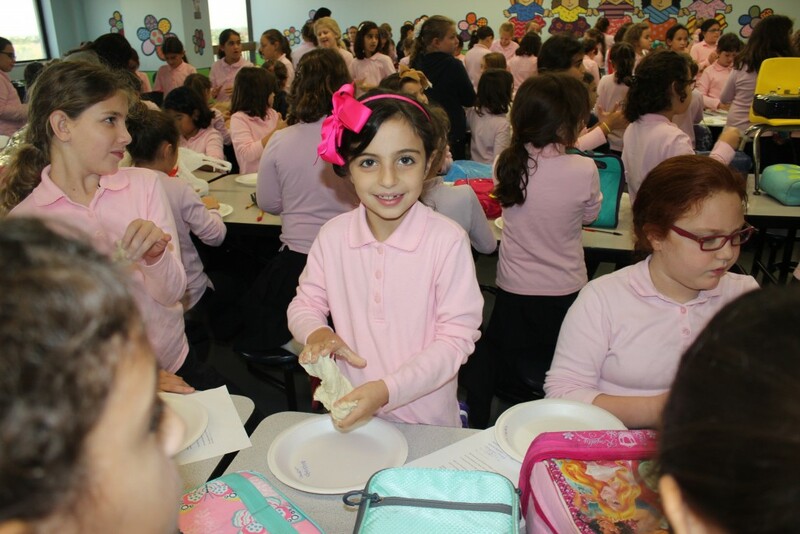 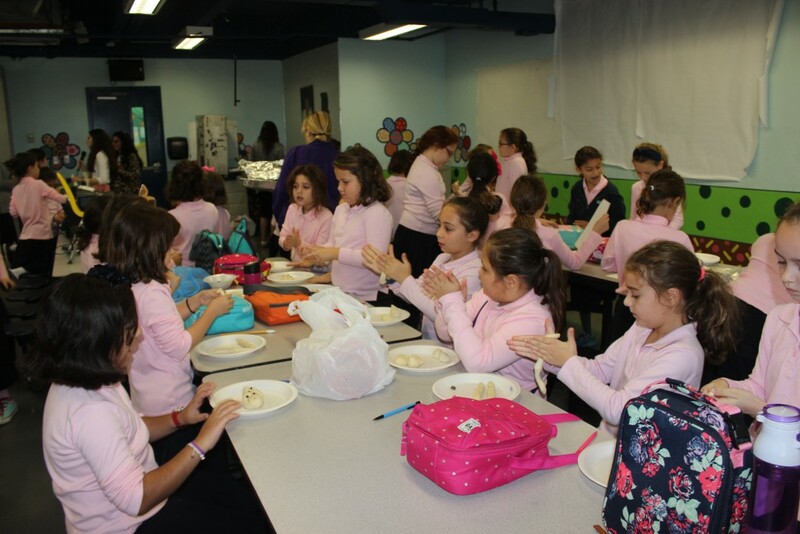 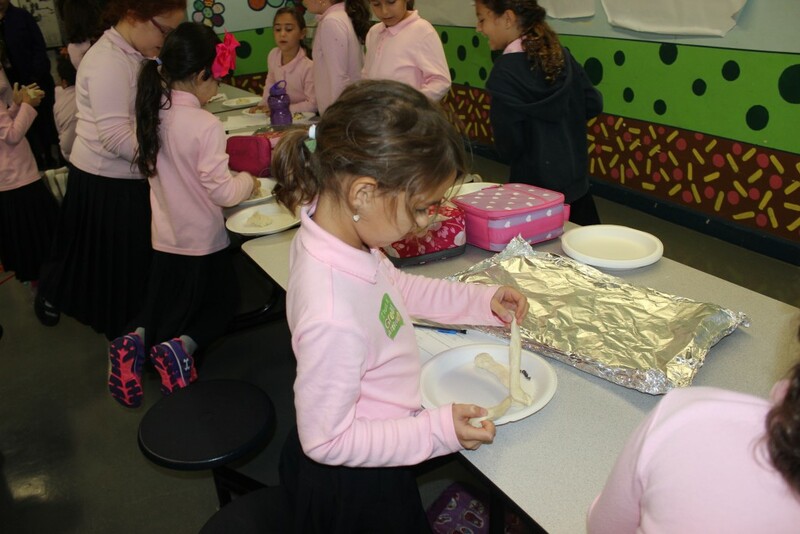 To honor the Vov Tishrei yahrtzeit of the Rebbe’s mother, Rebbetzin Chana, a very special program on challah baking was held for girls in grades 1 to 5 and grades 6 to 8. 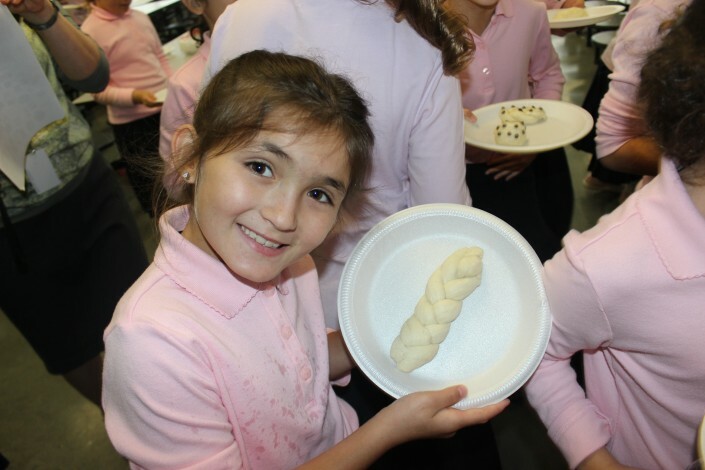 As one of of the three mitzvos specific to Jewish women and represented in the name Chana, challah baking—specifically the “taking of challah” with a brocha—is the foundation of a kosher Jewish home. 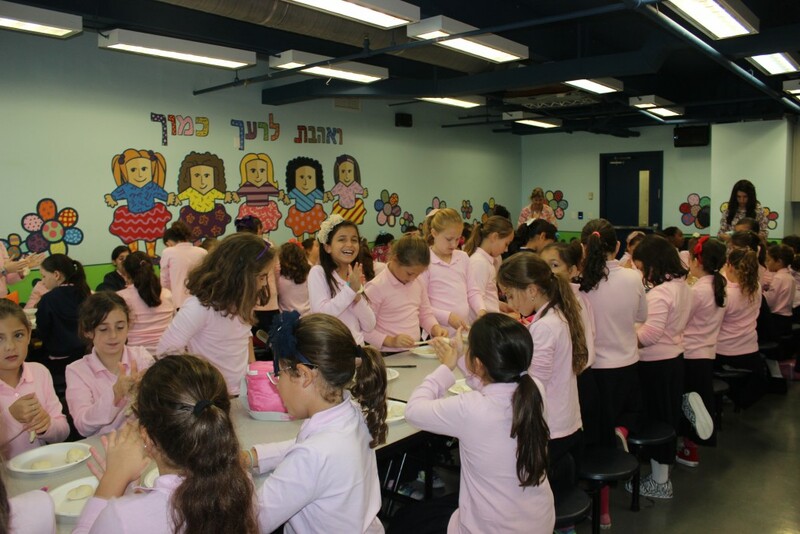 The program began with students in grades 3 to 8 viewing a JEM video on the life of Rebbetzin Chana, while students in grades 1 and 2 were honored by a special talk from 1st grade teacher Mrs. Chana Raizel Kagan on what we can learn from the special mesiras nefesh of the Rebbe’s mother. 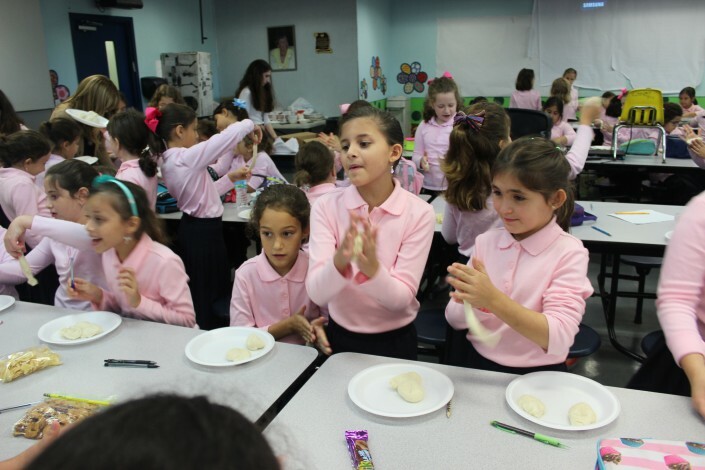 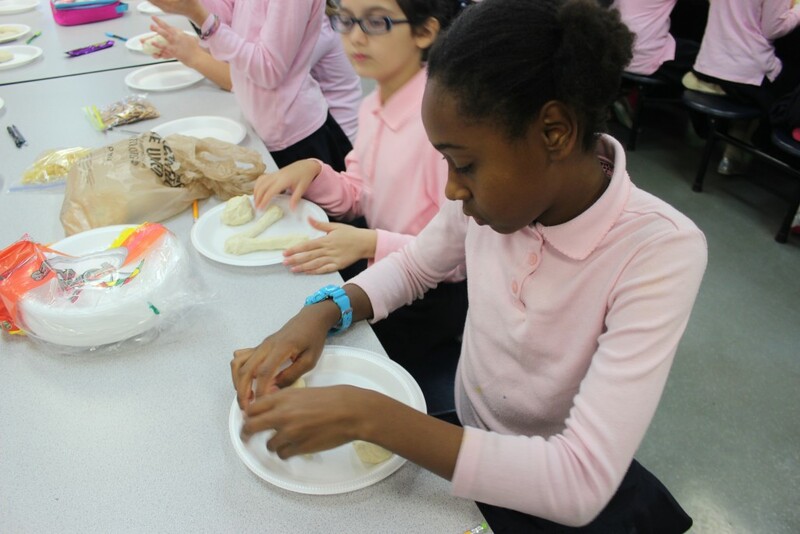 The program continued with a challah workshop for all the students, with grades 6 to 8 receiving a demonstration from Mrs. Tzippy Mann, shlucha from Chabad of Venetian Islands, on how to shape a 6-braided challah.